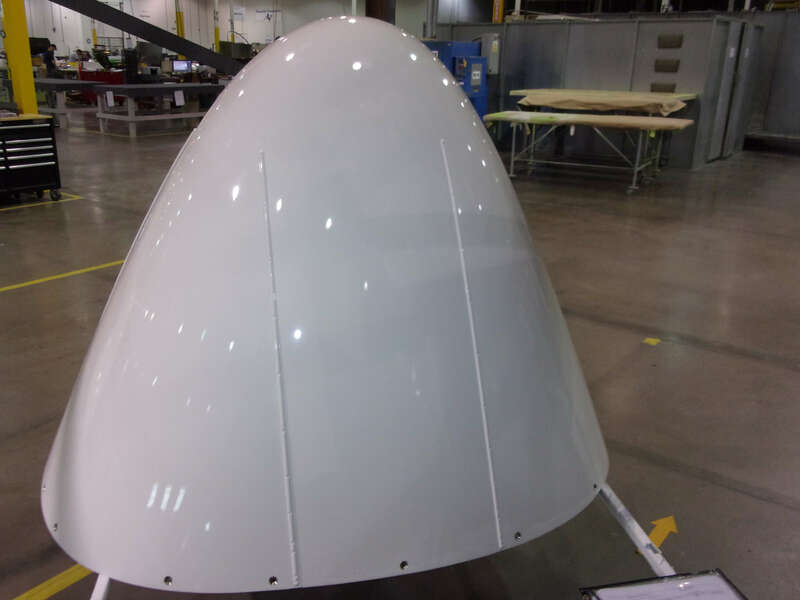 Radome assemblies protect the weather radar housed on the nose of aircraft. 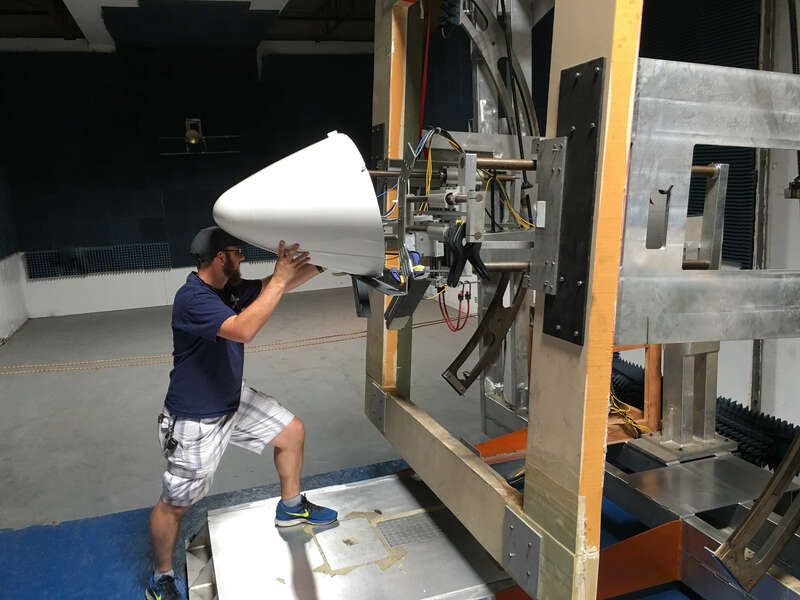 Weather radars operate at specific frequencies, which the radome assembly must allow to effectively pass through to allow the equipment to properly operate. 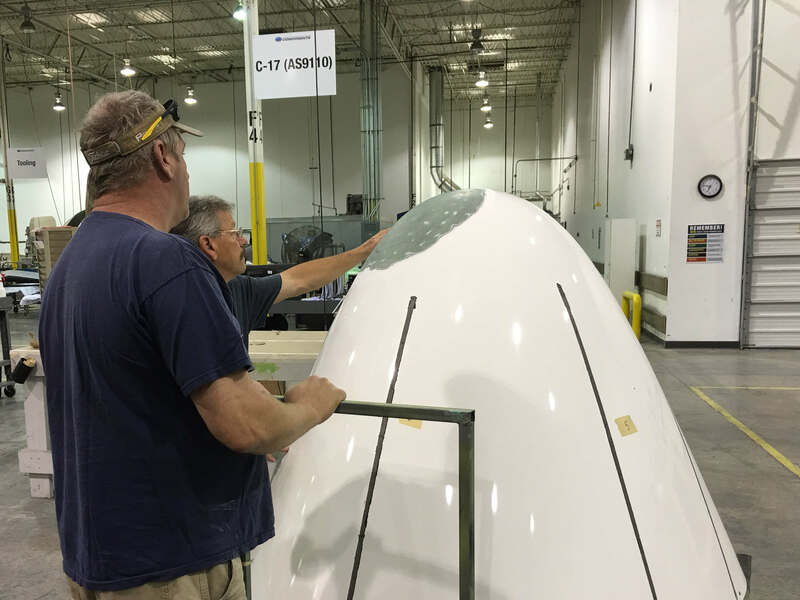 Radomes are subject to various damage, including hail, bird strikes and impact damage from ground structures like hangar doors and maintenance equipment. 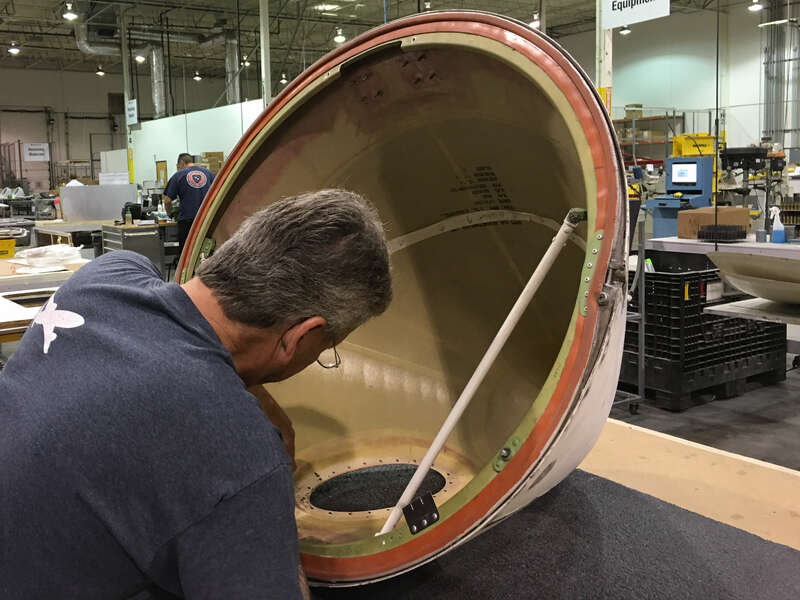 Any damage to the radome makes it susceptible to moisture ingression into the layers of fiberglass, which can block the specific frequency(s) from reaching the weather radar. A transmissivity/transmission efficiency test measures how well the weather radar transmits and receives the electromagnetic activity.